During the wee hours of the morning on Jan 27, while snow fell outside the barn, a honored shepherdess took part as a midwife delivering 9 perfect little 4-legged angels. Each white puppy beautifully badger marked like their mother, we were both smitten at first glance. 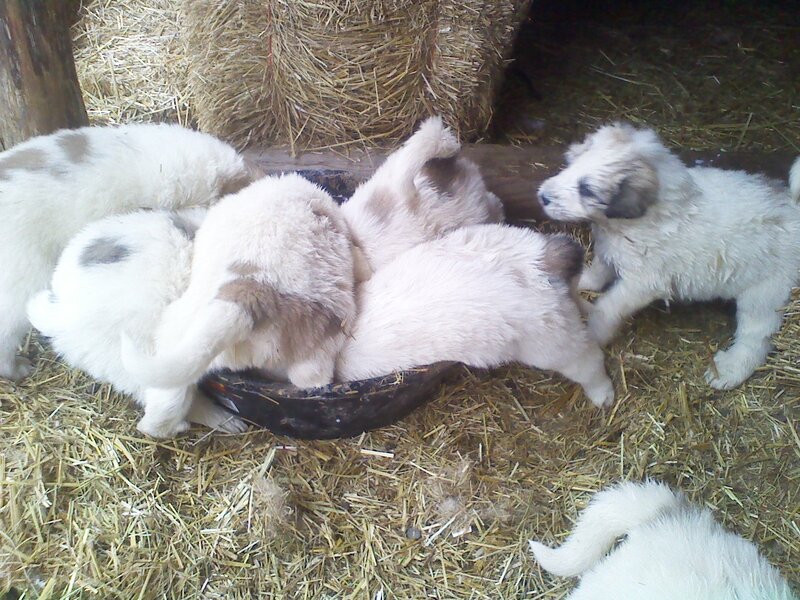 For the last several weeks, we've watched minute by minute as these Great Pyrenees pups have grown into livestock guardians. And grow they have done! 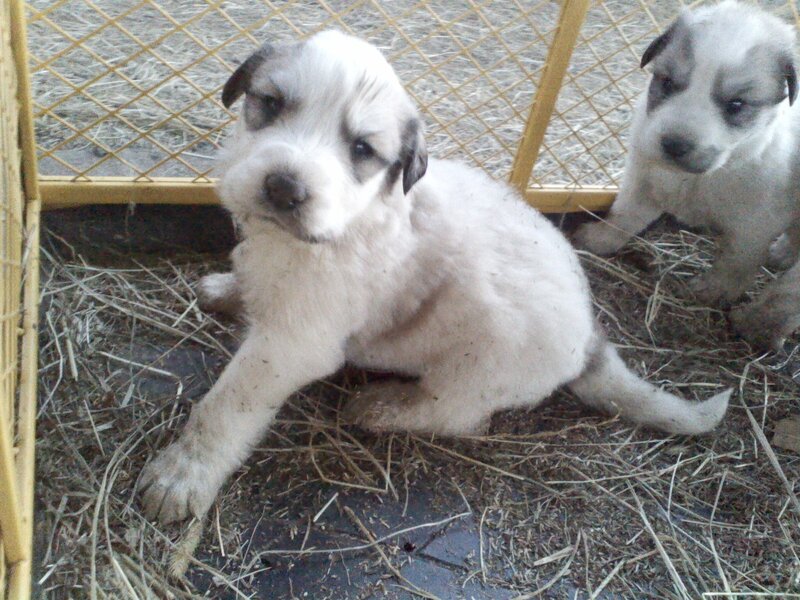 Barking and growling while stumbling after their wooly family members already. With guarding instilled in them genetically, they just seem to 'know' it's who they are. But alas a puppy, is still a puppy...so in all our free moments we can be found snuggling those sweet faces and taking in all that precious puppy breath! This past week, we've started feeding them sheep milk - frozen from last year - and adding a little dry kibble to it. It took a whole of 5 seconds for them to figure out, that warm sheep milk is the bomb! The shepherdess is now known as the lady with the milk...if ever I'm in need to feel loved, I just have to head down to the pasture with a little white bucket of warm sheep milk. Twice a day I mix up this warm treat for these fast growing babies..and as the puppy quarters come into view, a once soundly sleeping pile of white fluff starts stirring. The gate is unlatched and in an instant, there are puppies on top and under my feet. My efforts to distribute their warm milk & kibble stew evenly in containers that they can all gather around, goes completely unrecognized and unappreciated. I simply need to just get it done and be QUICK about it...exhausted I leave the puppy quarters and understand completely why their mama, Reina, does more running from them then anything else these days. And Reina earns another dog cookie along with some ear and neck rubbing from her empathetic shepherdess...good girl Reina. In just a few more weeks, the pups will be ready for their own farms, with flocks and families to guard...a bitter sweet day in our near future. What an adventure it has been! but you're never friendless ever, if you have a dog.